Fifteen miles away from Yosemite National Park South Entrance. A flat-screen cable TV with HBO film channels and ESPN sports channels is provided in every air-conditioned room at Best Western Plus Yosemite Gateway Inn. Rooms are decorated in bright colours and feature original artwork. A work desk and a coffee maker are included in all rooms. Open for dinner, the Yosemite Gateway Restaurant features traditional American cuisine and serves steak, pasta and seafood entrees. Guests of Yosemite Best Western Plus can work out in the fitness centre. A business centre with fax and photocopying services is available. For convenience, a guest launderette is located on-site. 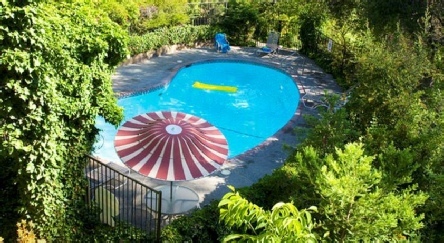 There is an outdoor and an indoor pool. 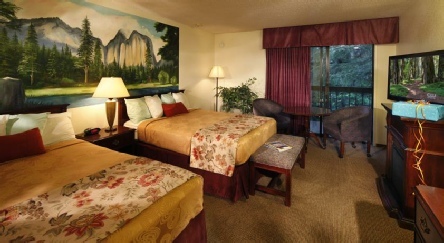 Located in scenic Oakhurst, California, the Yosemite Gateway Inn is a contemporary-styled hotel just 15 miles from the south entrance of Yosemite National Park. Nestled in a tranquil hillside setting among tall oak trees, our hotel is a peaceful getaway retreat with inviting spaces and breathtaking mountain views. 2019 package holidays to the Yosemite Gateway In Oakhurst Yosemite Prices are per person based on two sharing, including flights, transfers and accommodation, and are subject to availability. Flights from Heathrow - other departures also available, call for details.